This week there aren't that many DVDs out. 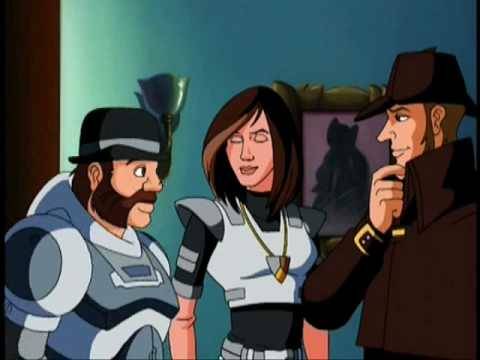 But, I did find two old cartoon shows and a cheesy bigfoot movie starring David Carradine. 1. 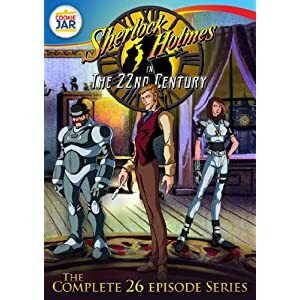 As a huge Sherlock Holmes fan I'm kind of happy to see Sherlock Holmes in the 22nd Century - Complete Series. I caught a few episodes and, while it wasn't immensely faithful, it's heart was in the right place. One reviewer on Amazon said it helped him get into the books. 2. This one is a blast from the past! Jayce & The Wheeled Warriors was one of my favorite shows as a kid. It was such a bizarre concept it had me hooked. Volume one of the 1985 series looks pretty good. 3. 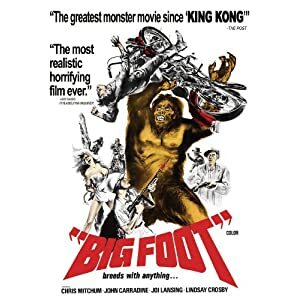 This week's cheesy feature is Big Foot (1970) starring John Mitchum and David Carradine. The cover supports two amazing quotes. "The greatest monster movie since King Kong!" and "The most realistic horrifying movie ever!" There are no trailers, but the clips on Youtube look horrible. All the sets are on stage and the bigfoot looks like a guy in a gorilla suit with a Cher wig on. What DVDs are you planning to buy this week? Are there any shows you remember that you wish were on DVD? I think I actually remember that Bigfoot movie! I think David Carradine's only great movie was Kill Bill at the end of his career. The rest of it leading up to that point was pure cheese. Michael, he definitely was a B-level actor. Good at martial arts though.